Try these 100 blog post ideas. No flaking out! 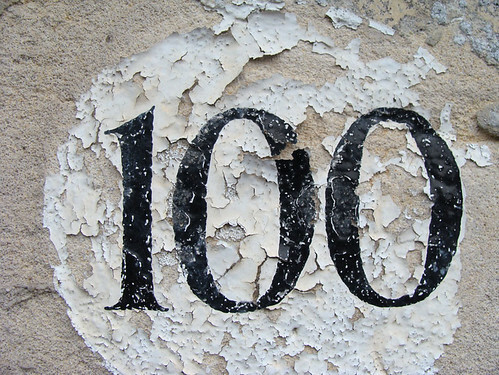 It's my 100th post here at The Writeous Babe Project! To celebrate I thought I'd give you a gift (aren't I generous?) of 100 post ideas. That's right ONE HUNDRED. Now, I know you're not going to sit down and read all hundred of these at once, and that's okay. Just skim it now and then bookmark it so you can revisit it the next time you're suffering from blogger's block. If you'd like to thank me, you can do so by joining my site through Google Friend Connect. You may think that me seeing your face in a little box on the right column of my blog doesn't mean much, but it means everything. 1. Write your own manifesto. 2. Write a letter to your younger self. 5. Show us what's in your handbag. Every blogger needs a toolkit. 6. Share a life lesson learned while doing something seemingly mundane, such as cleaning your closet. 7. Tell us how you stay healthy and fit. We can't write if we're dead. 8. Confess your girl crushes. 9. Do a Q&A with one of your favorite authors. 10. 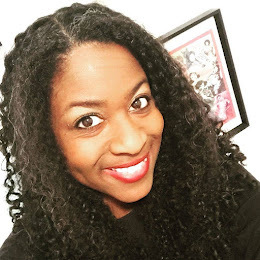 Do a Q&A with one of your favorite bloggers. 11. Attend a conference, seminar, or workshop and share what you learned. 12. Participate in a tweet chat and share what you learned. 13. Attend a writers group gathering or bloggers meetup and write about the experience. 14. Share your goals or intentions for the month. 15. Use some Instagram pics as writing prompts and share the results. 16. Share how you find time to blog. 17. Share your editorial calendar and help your readers create on of their own. 18. Tell us about your vacation. Yes, we care and, yes, we want to see lots of pictures. 19. Make a vision board and share it with your readers. 20. Tell us how you stay looking fabulous on a writer's budget. 21. What music are you writing and rocking to these days? 22. Is there a room, patio, or coffee shop where you do most of your writing and blogging? Let us see it! 23. Share your personal mission statement and help your readers write their own. 24. Do a video blog post. 25. Make a list of things for which you are thankful. Everyone loves a grateful blogger. 26. Show us your business cards! 27. Work on a creative project (such as a painting) and tell us all about your masterpiece. 28. Start a writers group or bloggers meetup and then share with your readers how to launch their own. 29. Write a post in honor of Black History Month in February. 30. Write a post in honor of Women's History Month in March. 32. Write a post celebrating National Poetry Month in April. 34. Have a Wordless Wednesday and share a day in the life of you via Instagram pics or cell phone photos. 35. Do how-to post on a D.I.Y. project. 36. Post a list of goals you want to accomplish before your next birthday. 37. Post a wish list. It can serve as a gift guide for your readers during the holidays. 39. Share something embarrassing like quirky habits or guilty pleasures. 40. Write about an issue in the news that's relevant to your brand or niche. 42. Pose a question on Twitter and write a post about the most interesting replies. 43. Post an inspirational quote and what it means to you. 44. Make a list of your 10 favorite blogs. 45. Make a list of your 10 favorite books. 46. Make a list of people to follow on Twitter. 47. Write the 10 commandments of blogging. 48. 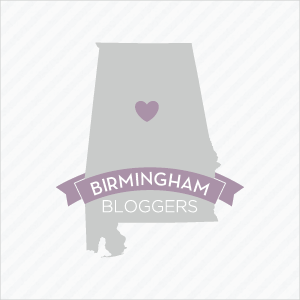 When it comes around again, write a post celebrating your blogiversary. 49. What I Learned About Myself From ______. This can be a book, a film, an album, or even a person. 50. Write a thank you note to your readers. 51. Post your goals or resolutions for the coming year. 52. Revisit an old post with a new perspective. 53. Share the story of why and how you started blogging. 54. Write a FAQ (Frequently Asked Questions) post. 55. Write a post celebrating summer. 56. Write a post celebrating fall. 57. Write a post celebrating winter. 58. Write a post celebrating spring. 59. Create a giant list of something (er, like blog post ideas). 60. Write an open letter to one of your heroes. 61. Write an open letter of thanks to your writing partner or blogging buddy. 62. Write a post about an interesting conversation you recently had with a friend. 63. Write a post about an interesting conversation you overheard. 64.Write a post about your mistakes. Be honest and open. Your readers will relate. We all screw up. 65. Share something from your journal. 66. Explain how you make Twitter work for you. 67. Share how you effectively use Facebook. 68. Explain how you use Pinterest. 69. Share how you effectively use LinkedIn. 70. Convince me to use Google + more. 71. Write a post celebrating your hometown or some other community that you love. 72. Write a post on how to make the most of a conference. 73. Make a list of books you want to read. 74. Make a list of books you want to write. 75. Give us a glimpse into your life and show what you do offline to recharge and relax. 76.Make a list of "must haves" related to blogging in general or to your niche. 77. Create a post in which you embed your favorite YouTube videos on a particular topic. 78. Write a Things You Don't Know About Me post. 79. Write a letter to your future self. 81.Write about what you want for the future of your blog. 82. Do a collaborative post and ask other bloggers for their thoughts on a particular issue. 84. Write a "How NOT to ________" post. 86. Use a writing prompt to write a piece of flash fiction and challenge your readers to do the same. 87. Write a profile of a person you admire. 88. Rant. Get something off your chest. 89. Debate a controversial topic in your niche. Argue both sides and see what conclusion you come to. 90. Explore how one of your hobbies made you a better writer. 92. Do an outfit post, even if you're not a fashion blogger. Show us what you wore to a niche-related event. 93. Write a post celebrating one of your favorite books from childhood. 94. Write a post about your favorite teacher. 95. Compile a list of your best posts. 96. Compile a list of your worst posts and explain how you could have made them better. 97. Conduct a poll or survey related to your niche and write about the results. 98. Write a post about your favorite apps. 99. Write about your favorite song, the one that's your personal anthem. 100. Write about your favorite TV show. What post ideas would you add to this list? Share them in the comments section! My goal is to get my blog started and this was like a Christmas present. Happy 100th post day. Oh yes, I'm saving this one to the vault and will reference it often. And that Beautiful Mess blog just stole my heart with the travel journal DIY I am gonna have to try my hand at that one... although I am not a craft person. I mean I like crafts, I just can't do them myself. But I think I'll try my best to do that one. I'm glad you ladies found this post helpful. Please share it with your blogging buddies. And Carol, I plan to do a journal DIY soon. I'm an aspiring crafty lady, emphasis on aspiring. Congrats on 100 posts here! And I pinned this post on Pinterest! Thanks, Laura! I really appreciate that. as shooting that their small fry too has the same matter. I was starting to draw a blank on post ideas but this has helped so much! I just recently came across your site after reading GG Renee's feature of you on her blog (All the Many Layers). Thanks for sharing this. This is awesome. I'm looking forward to perusing the rest of your site and reading your current and future posts. That is absolutely cool,and i love the Fashion One. Great information. Thanks for providing us such useful information. Keep up the good work and continue providing us more quality information from time to time. Javacia, as a new blogger, I certainly needed this boost of ideas. Thank you for sharing! Wow what a wonderful list you got there. I must say that being a teacher and a blogger at the same time isn't a very easy thing to do, but you have broken all odds and as such deserve appreciation. Thank you for sharing, and for sure i have to try some of them. Quality help with rewriting a personal experience essay is guaranteed at our firm, where the most professional custom writers and editors have been hired using the most professional means. We just offer free appointment scheduling software online which are absolutely amazing for the girls to manage. Lovely fashion blog post ideas. Thanks for sharing. Wow! Amazing ideas. wI know 200 ideas at my personal blog. Simple life doesn’t lead to the rewarding career. Fashion designing is one such career without an exception. Choosing the best Part Time Fashion Designing Courses In Bangalore is always a challenge. Inifd Bangalore is one such college for an extra ordinary career. Hi Javacia thanks a lot dear for sharing these ideas I am thinking to start my website and these ideas are of great help. I appreciate your help with this issue so much! Great ideas! I'm sure that title is the first big step to successful blogging! Your title has to be catchy, as it is the first interaction between your blog and your audience, isn't it? Do you spend lots of time for choosing a right title?